The Economic and Financial Crimes Commission (EFCC) is set to charge six top officials of the Central Bank of Nigeria (CBN) and 16 others to a Federal High Court on June 2, for a sum of 8b Naira currency fraud. The commission said in a statement signed by its Head of Media & Publicity, Wilson Uwujaren, on Sunday that it would bring the executives before the court for their involvement in the theft and re-circulation of defaced and mutilated currencies. According to the EFCC, “The Economic and Financial Crime Commission (EFCC) has concluded arrangement to arraign in court, five top executives of the Central Bank of Nigeria (CBN), implicated in a mega scam involving the theft and re-circulation of defaced and mutilated currencies. “The suspects drawn from various business units of the apex bank are to be docked by the anti-graft agency before a Federal High Court sitting in Ibadan, Oyo State, from Tuesday June 2, 2015 to Thursday June 4, 2015. The commission explained further that “the remaining 16 suspects were drawn from various commercial banks, who were found to have conspired with the CBN executives to swing the heist. All the suspects, who are currently in the custody of the EFCC, are now ruing the day they literally allowed greed and craze for materialism to becloud their sense of judgment and responsibility, when they elected to help themselves to tones of defaced Naira notes. “The lid on the scam which was widely suspected to have gone on unchecked for years, was blown on November 3, 2014 via a petition to the EFCC alleging that over N6, 575, 549, 370.00 (Six Billion, Five Hundred and Seventy-Five Million, Five-Hundred and Forty-Nine Thousand, Three Hundred and Seventy Naira) was cornered and discreetly recycled by light fingered top executives of the CBN at the Ibadan branch. “The suspects, who were members of the Briquetting Panel, plotted their way to infamy on September 8, 2014, while carrying out a Briquetting exercise at the CBN Branch, Ibadan. 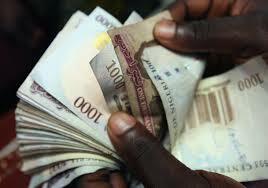 In banking parlance, Briquetting is disintegration and destruction of counted and audited dirty notes. By this practice, depositor banks usually take mutilated notes to the CBN in exchange for fresh notes equivalent of the amount deposited. “The depositor banks in this instance, are Zenith Bank, FCMB, Wema Bank, Access Bank, First Bank, Skye Bank, Ecobank and Sterling Bank. But while carrying out the assignment, the team were alleged to have found one of the currency boxes filled only with old newspapers rather than 20 bundles of N1000 notes. A similar case, according to investigation, had been discovered on September 22, 2014 when a box that was supposed to contain N500 notes to the tune of N5billion was filled with old newspapers,” the commission said. The EFCC stressed further that “unlike in the past, this fraud could not be swept under the carpet, as a member of the Briquetting Panel from the Osogbo branch blew the lid on the illicit deal. “In a statement, the informant stated that the exercise was designed to last between August 4 and 8, 2014. The 35-year-old, however, stated that she discovered a strange ‘sight’ while opening the third box on the second day of the exercise. It was a discovery that beat her ken.